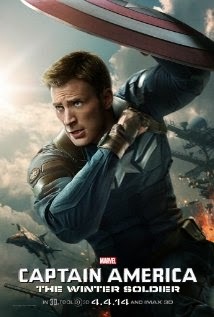 This movie fits all the criteria for a great comic book movie: explosions, action, explosions, hot girl that might be good but is probably bad, explosions, epic fight scenes, a good guy that turns out to be bad, explosions, a bad guy that turns good, oh...and a super-good looking hero that slowly walks away from explosions. Plot: A washed up, alcoholic English teacher and an ailing Art teacher use their rivalry to inspire each other and their students to push harder than they ever have through a Words versus Pictures contest. I went into this movie having no idea what to expect and came out pleasantly surprised, for the most part. Clive Owen and Juiliette Binoche have a quirky, intriguing chemistry that keeps the movie afloat through the slow parts. Unfortunately, the film relies on secondary characters to move the plot along and they don't carry their weight as well as one would expect. 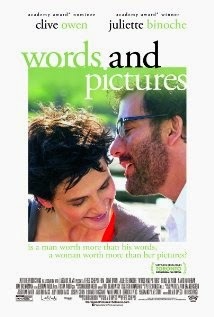 The film is about 30 minutes too long and the soundtrack makes you feel like you are watching a cheesy love story from the early 80's, but the words and pictures are beautiful. There were times when this film reminded me of DEAD POETS' SOCIETY, but this movie is nowhere near that level of mastery. 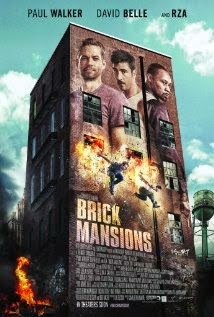 At best it's a poor man's version of DPS, at worst it's a blatant, but wrongheaded, attempt to be a knockoff film. I did enjoy the inspiring nature of the movie and the passion and reverence it exudes for the art, both written and painted, was worth the price of admission. This film will not change your life, but it may inspire you to try a bit harder at life. I will say that there are some pretty good fight scenes and some cool parkour, but it's not worth spending even the $2.99 rental fee to see that. 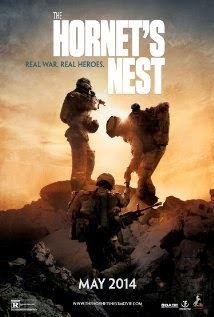 Plot: This war documentary follows US troops in Afghanistan battling the Taliban.